The sunfish is a tetraodontiform pelagic animal of the Molidae family. It is considered the heaviest bone fish in the world. Surprise caused the presence of a huge sunfish in Bahía Inglesa, on the coast of the Atacama Desert. The fish spent an hour swimming with divers near the coast, wondering the lovers of nature, for the strangeness of this species that, in previous occasions, had already been sighted in the sector. However, this meeting, excited many due to the large size of the animal, which measured about three meters and weighed about one ton. 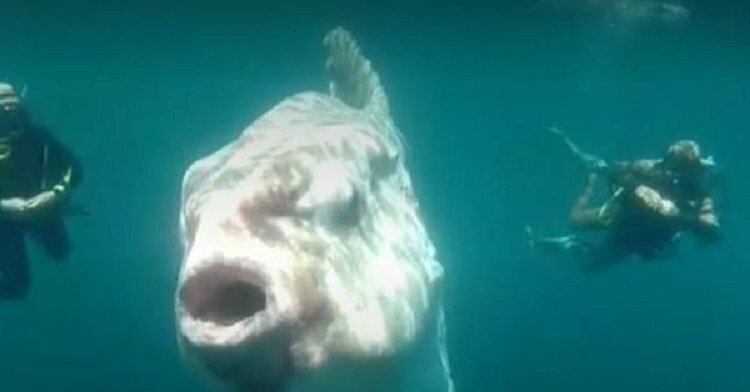 Foreign media highlighted the sighting, calling it “the monster fish” because of its appearance. However, according to images his behaviour was quite friendly. The moonfish is a tetraodontiform pelagic fish of the Molidae family. It is the heaviest bone fish in the world, with an average of 1000 kg of weight and with specimens that reach more than 3 m in length and exceed 2 tons.